Hit a treble top on the beach with our fun and unique beach towel. 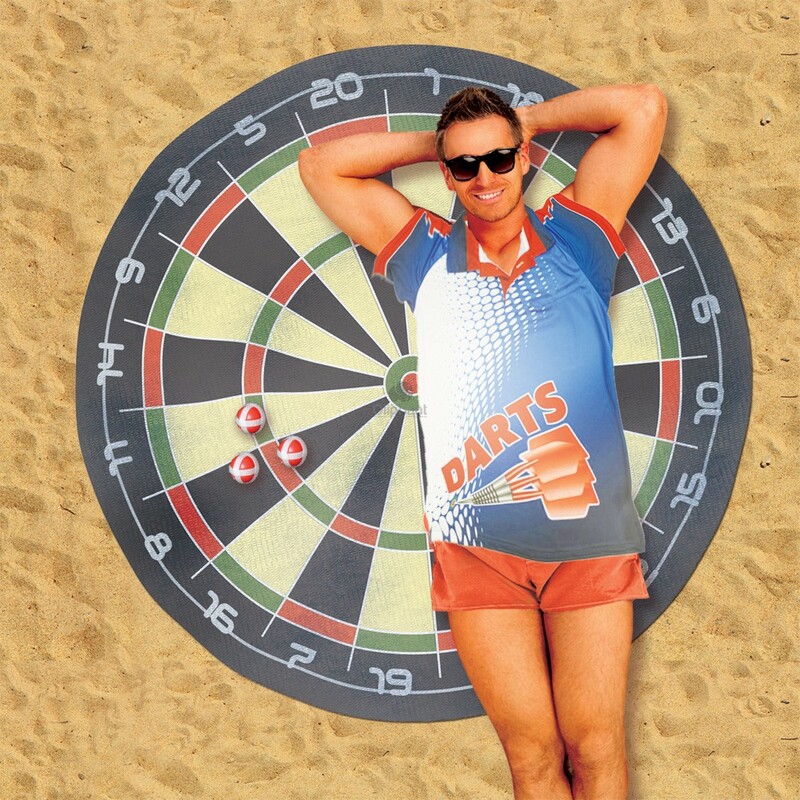 Practise your aim and beat your mates and family members to become the beach darts champion! 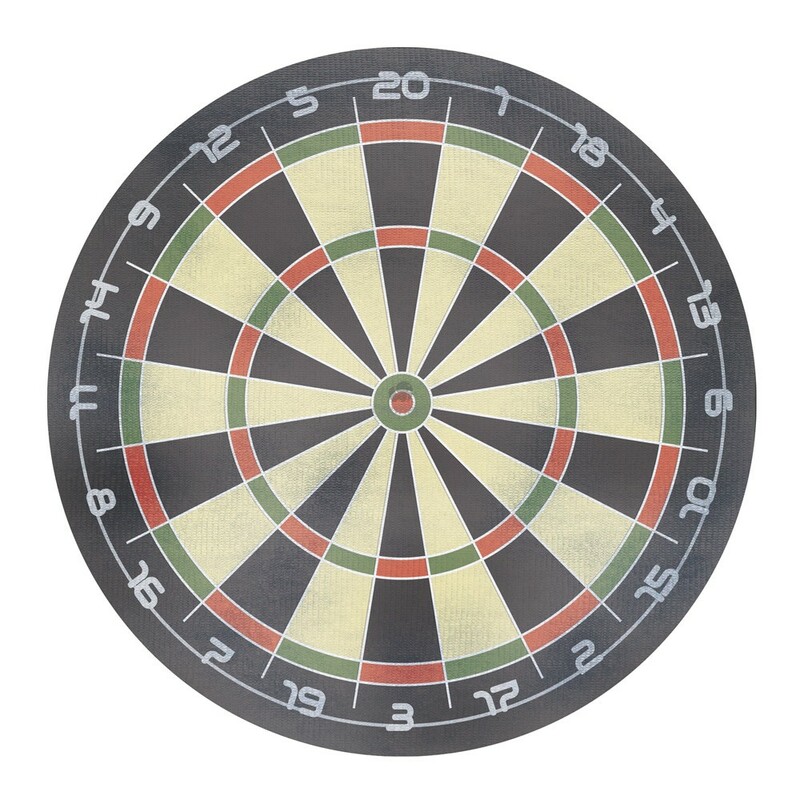 Measuring 130cm in diameter and supplied with 6 Velcro plastic balls that stick onto the towel this is the perfect beach companion for any competitive sporting fanatic. Out towel is not only a fun beach accessory, but also made from 100% polyester making it super soft on your skin and highly absorbent too, perfect for using straight out of the sea! 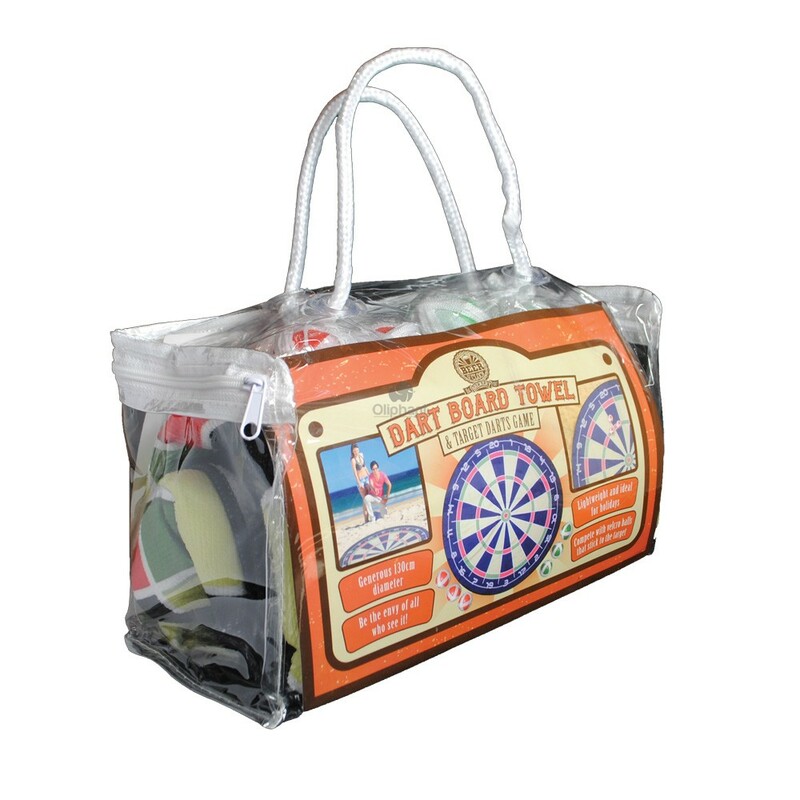 The Dart Board Beach Towelcan also be machine washed and comes packaged in a giftbox weighing only 330G, so it’s ideal to be packed in your suitcase and taken away on holiday with you. When you’ve finished having fun with our Dart Board Beach Towel simply shake off the sand, roll it up, pack it away and enjoy time and time. Perfect for the summer season, take this soft towel to the beach, to the park, or even take it on a picnic. 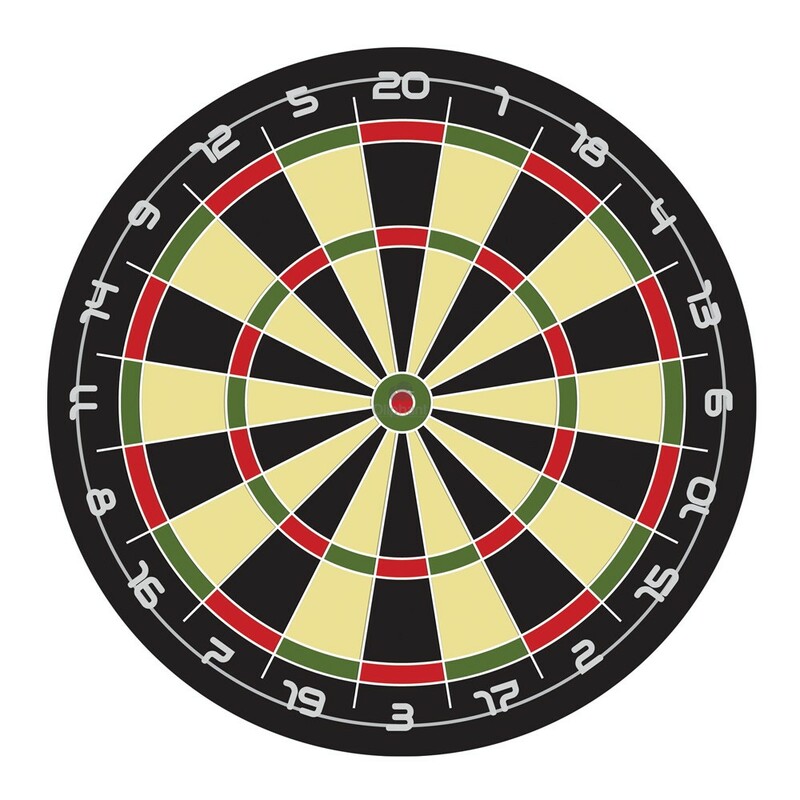 Buy yours now ready in time for summer and be the first to be crowned the winner in this year’s beach darts championship!